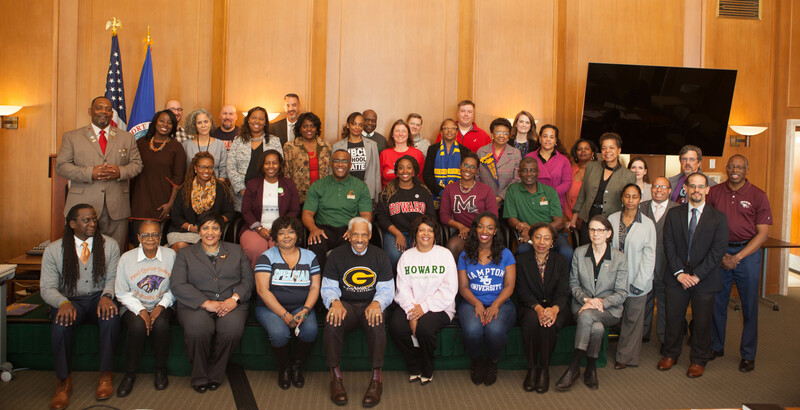 For purposes of implementing the Order, the Interagency Working Group (IWG), comprised of representatives of federal agencies and departments, is established to help advance and coordinate work throughout the federal government to strengthen the capacity and competitiveness of HBCUs. The IWG is chaired by the Executive Director of the Initiative and facilitated by the Initiative’s Intergovernmental Relations Coordinator. The IWG includes “liaisons,” the senior officials appointed by agency heads to provide overall coordination with the Initiative, reporting directly to their secretary, administrator or commissioner on progress made to implement the Order. These “liaisons” are the agency officials of record, responsible for developing and accountable for executing against the agency plans. In support of “liaisons,” also there are “representatives” who regularly participate in IWG meetings and serve as the Initiative’s primary points of agency contact for the day-to-day, operational work of the IWG. The IWG is the backbone of federal government leadership to improve the capacity and competitiveness of HBCUs.